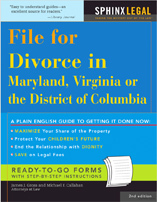 You are here: Home / Legal Crier Blog / Alimony / Is Retirement Foreseeable? The Court of Appeals of Virginia answered this question in the negative in Dailey v Dailey, 59 Va. App 734, 722 SE 2d 321, 2012 Va. App LEXIS 57. The parties had an agreement that provided for alimony of $1,000 per month, modifiable upon a material change in circumstance. The agreement was silent on whether Mr. Dailey’s retirement constituted a material change in circumstances. The agreement was incorporated in the final decree of divorce entered in September 2009. In November 2010, Mr. Dailey retired, Ms. Dailey began receiving her share of the pension as agreed, $2900 per month, and Mr. Dailey moved to terminate or reduce spousal support. The parties stipulated that the retirement was a material change in circumstances. Ms. Dailey argued successfully that it did not warrant a termination or reduction of spousal support because while retirement was a material change, it was also one that was entirely foreseeable. The trial court denied Mr. Dailey’s motion. The Court of Appeals agreed that retirement is foreseeable in the sense that most people eventually retire. The court noted, however, that Mr. Dailey testified that he had no plans to retire at the time of the divorce. And the Court reasoned that the effect of retirement was not necessarily foreseeable. It was noted, for example, that the Agreement provided that Ms. Dailey would be paid her share of the retirement if, as and when Mr. Dailey’s pension was paid out, and that this particular pension plan had no survivor benefits if the participant died before retirement. The Court of Appeals held termination or reduction of spousal support upon retirement was not barred under the Agreement on the basis that retirement was foreseeable and therefore not a triggering material change in circumstances. The Court of Appeals sent the case back to the trial court to determine whether or not to terminate or reduce spousal support. Does this mean that in the next Virginia case with a pension with a pre-retirement survivor’s benefit, the spousal support payer’s retirement, and its effect, will be foreseeable and therefore not grounds for a termination or reduction of support? It is not clear. Does this mean that a support payer with a pension cannot leave this issue open in the marital settlement agreements because of that risk? Probably so. It is certainly something we will be looking at very carefully, and in appropriate cases, negotiating what happens when the support payer retires. This is especially important in a case like this one where, at the time of divorce, the payer had 29 years of creditable service, and he ended up retiring the very next year. http://tgclawyers.com/wp-content/uploads/2018/05/tgc-logo-1.png 0 0 Michael Callahan http://tgclawyers.com/wp-content/uploads/2018/05/tgc-logo-1.png Michael Callahan2012-05-04 14:54:592012-05-04 14:54:59Is Retirement Foreseeable?